We have been on a roll visiting Smuggler’s Cove, where we have been imbibing plenty of rum (but we need to review them) and many of their cocktails. One of our new cocktail favorites is Dane Barca’s cocktail called “Dr. Barca’s Fuzzy Banana” (apparently this was the owner Martin Cate’s idea and not Dane’s). To try to recreate it at home, we purchased some pineapple juice (a prominent ingredient) and scoured through the book to find the recipe. 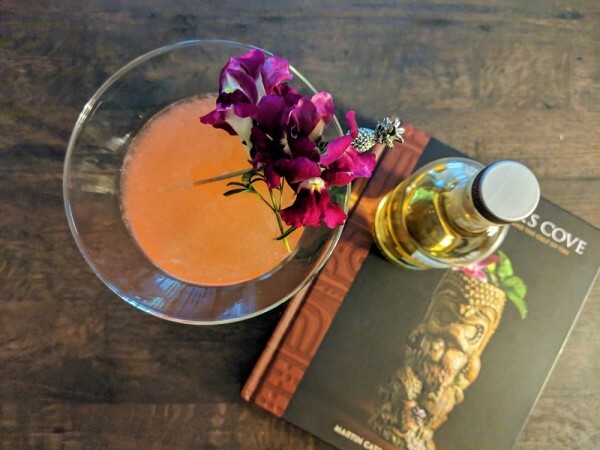 After giving up, we started researching whisky and pineapple juice cocktails online and found this delicious-sounding recipe from Imbibe (courtesy: Ariana Vitale from Rider in Seattle). We initially tried a scotch and substituted agave for honey, but we’ve made several iterations since then. The scotch (especially a peaty scotch) is a terrible idea and we do not recommend. However, a bourbon (we used a barrel strength Elijah Craig) and either choice of honey or agave will result in an excellent cocktail. Bourbon and pineapple go very well together - and this is definitely a combination I’d be interested in exploring more.